Email Surveys are defined as a data collection method used to collect quantitative data using surveys or questionnaires that are sent over electronic mails to the targeted respondents. 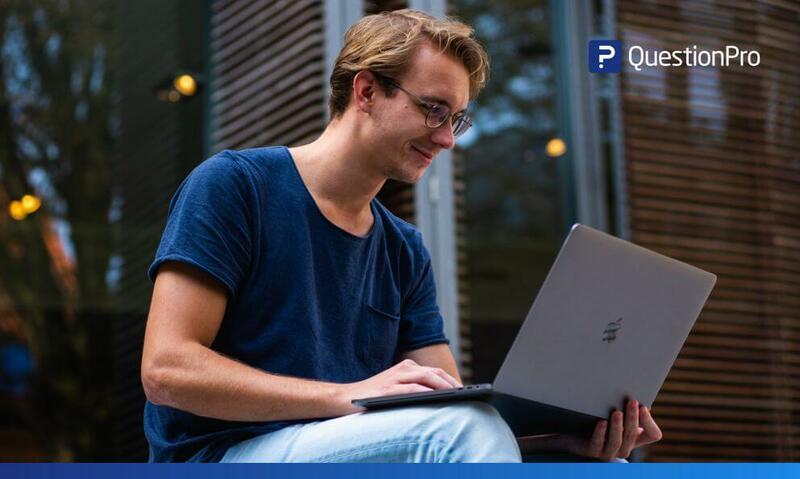 They can then answer these surveys directly in embedded surveys or respond over emails, depending on the survey delivery method chosen by the researcher. For example, A fashion brand wants to know customer opinions about the new product they have launched recently. In such a case, since emails are already registered in the organization’s system, email surveys can be sent to the audience who purchased the product. 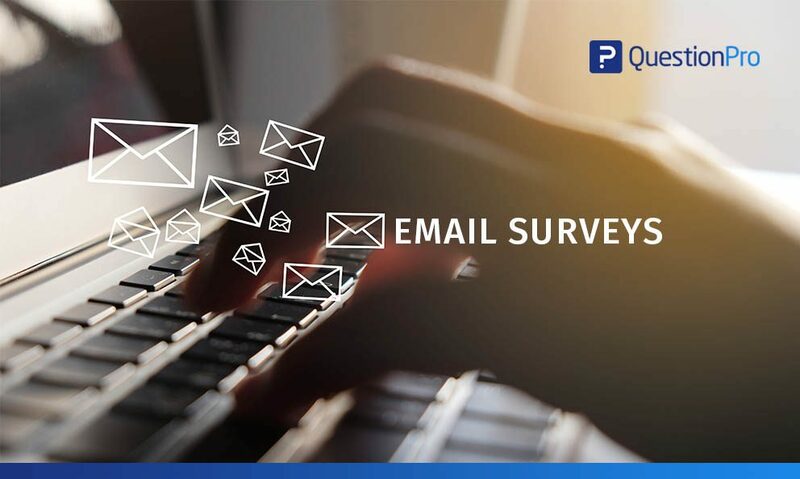 Using email surveys quick and reliable feedback can be collected from its targeted audience and analyzed later using powerful web survey software. Email surveys have been there in the market for a very long time and it is still one of the most efficient methods to collect quick and reliable data. Emails are used by almost every person nowadays. Like most communication channels, email is one of the best channels. According to recent research which was conducted to evaluate email marketing, around 72 percent of people prefer getting their promotional content or professional communication over emails. Email surveys are one of the best channels because they allow integrating multiple options in the email. For instance, an email can include an invoice, a promotional advertisement, and a survey invitation as well. Since email surveys are extremely economical and can be sent to a large audience at the same time, it is one of the most widely used methods around the globe. Email surveys can be shared with the targeted audience in two ways. Following are the two methods that are used most widely by organizations and researchers. Embedded email survey, also called an email inline survey is one of the most effective methods to conduct a survey. In such a method, the survey is embedded in the email itself and the respondent can answer the questions directly in the email body. These surveys are usually short and it is recommended to not make them exhaustive. Since the survey cannot be exhaustive, close-ended questions are usually preferred in such a method. 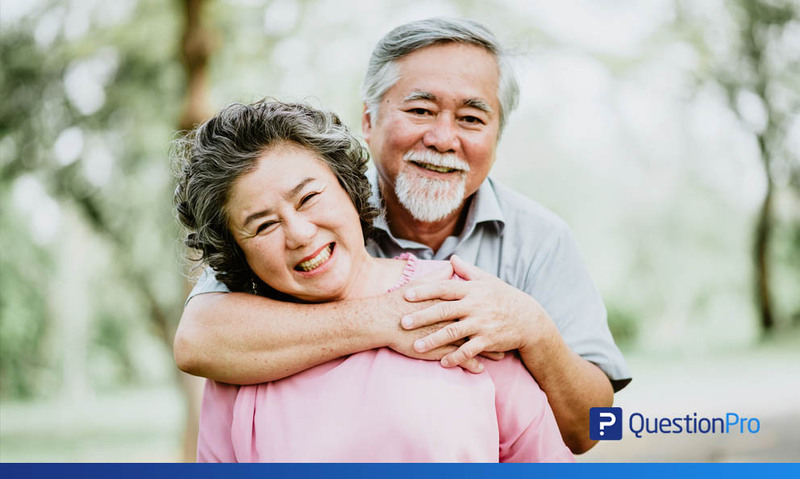 Some of the most widely used questions types in embedded surveys are demographic questions, Net Promoter Score questions, Matrix type questions, etc. For example, a restaurant wants to conduct a customer service survey with their existing customers. For a restaurant, it is very important that their customers are well-served and that they are satisfied with all the services provided to them. A customer service survey can be sent as an embedded email survey to these customers. Such a method is non-exhaustive and gets you valuable feedback in no time. Analyzing this data using powerful survey software such as customer satisfaction software can give you actionable insights to keep your customers happy and make them your brand ambassadors. Email redirect surveys is a survey invitation link sent to the targeted audience. The respondent can click on this link and be redirected to the survey page. Such a method is usually used when the surveys are longer. It enables the researcher to include open-ended questions, close-ended questions as well as multiple standard and advanced question types. For example, a cab services company wants to get feedback from its customers regarding the service that was provided to them. A cab services company is successful only if they are consistent in the quality of service they provide, hence it is a critical aspect that such organizations have to look into, and also ask for suggestions from its customers. A survey invitation link can be sent to all customers through email and feedback can be collected. Creating a survey, collecting data and analysis of data can be done using robust survey software such as customer survey software, that provides you with powerful insights which can help the organization to devise customer-centric strategies. The success of email surveys is measured on the basis of response rates. Following are a few tips to conduct an effective email survey to get good response rates. Simple and clear subject line – Your respondents will be more likely to open emails if the subject line is simple and clear. The subject line should convey what the purpose of the email survey is in a few words. For example, a respondent is more likely to open an email with a subject line “Help us to help you better”. Such a subject line showcases that the content of the email is to gather feedback about customer service that was offered. Mention your audience portfolio – In the content of the email, you also need to mention that the respondent is chosen specially to conduct the survey as their opinion matters. Creating a sense of importance goes a long way in getting higher responses for your email surveys. For example, “As a loyal customer to us, you have been specially selected to participate in our customer satisfaction survey”. Explain the survey objective – It is important to explain what you will do with the data that you are collecting. Points such as how the responses will help make better decisions or provide better service should be included in the content of the email. For example, “your feedback will help us serve you better”. Including such a statement assures the respondent that their feedback is important and is valuable, thus leading to higher responses for the survey. Create a sense of urgency – When sending the email survey, use sentences like “Take the survey now”. It creates a sense of urgency and hence avoids delays to complete the survey. An option to take the survey later should also be mentioned in the content, as sometimes the respondent might genuinely be not able to take the survey immediately. 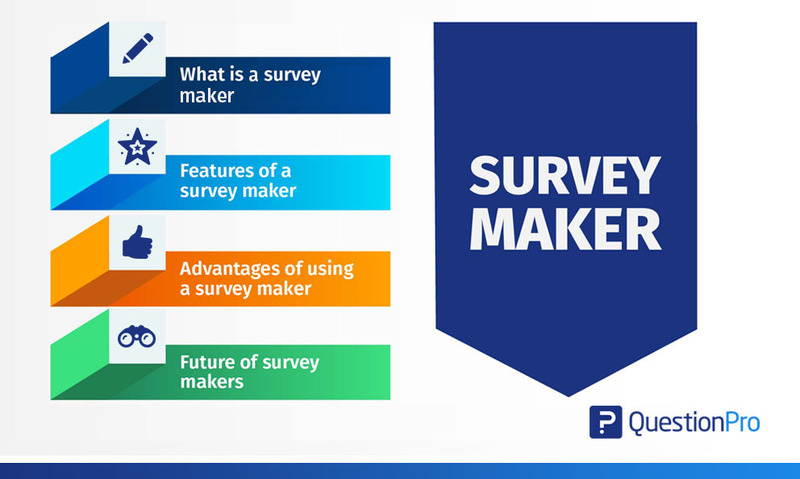 Mention the time taken to complete the survey – It is important to mention how long does it take to complete the survey, as time is valuable to everyone. Usually, a survey should not take much time to complete as the response rate drops drastically for exhaustive surveys. Provide Incentives – When sending the survey invitation, mention what’s in it for the respondent. When a respondent is motivated with various types of incentives, the response rates for surveys increase. For example, A restaurant owner wants feedback from its customer about the quality of food in his restaurant. The owner can provide a 10% discount code to the respondents who complete the survey. This enables higher responses to email surveys. 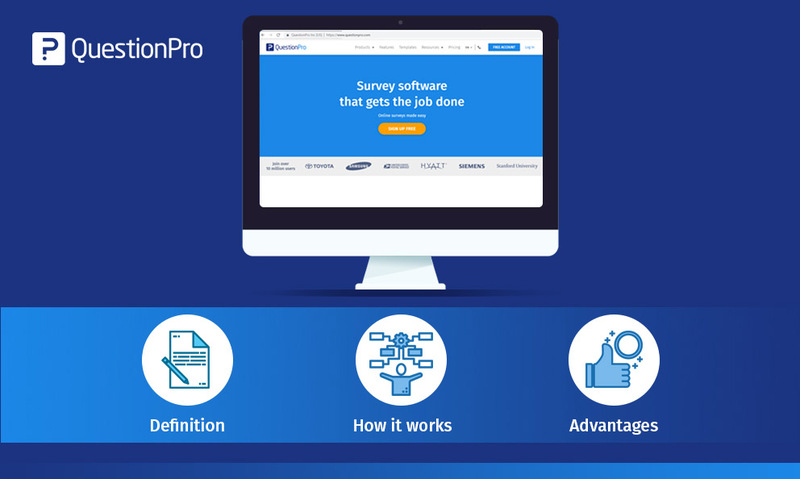 Utilizing the right survey tool – Email surveys can be created, sent and analyzed using powerful survey software available in the market. Choosing the right tool is equally important to conduct effective email surveys. Real-time data collection, automated distribution, and powerful analytics can provide you with valuable insights. For example, an email survey software can enable a researcher to conduct effective email surveys and also be able to leverage advanced features such as advanced analytical techniques, multiple questions, ready-made survey templates and many more. CAN-SPAM compliance – When conducting an email survey, it is important to be CAN-SPAM compliant. There are a few points to keep in mind to avoid being tagged as spam. Pointers such as valid “from” name, “reply to” email id, phone number, address and any other information that provides identity should be covered in the email survey. Thank the respondent – It is very important to thank the respondent for sparing some time to complete the survey. A respondent should always be thanked and the email should also mention that the feedback provided or the information they have given has value and would make a difference. Using such content in the email survey would enable higher responses and also help you create a loyal set of audience required for future surveys as well. Above are some of the points that can help you to create effective surveys. However, these are not the only points that will do the job. A good research design, attractive survey design, well-created email surveys along with quality content will assure you an effective and successful email survey research. Customer surveys – Customer surveys are one of the most frequently used surveys around the globe. These surveys enable organizations to collect in-depth data about their customers. Using these surveys, important business parameters such as customer satisfaction, customer effort, net promoter score, can be measured. Some of the most frequently used customer surveys are business surveys and customer satisfaction surveys. Human resources surveys – Human resource surveys are widely used in organizations to measure employee satisfaction, culture assessment, collecting employee feedback, and for many other reasons. These surveys are important and are regularly conducted in organizations as they can help the organization to retain employees, devise strategic HR policies and create a healthy working environment for its employees. Exit interview survey and job evaluation survey are some of the most common human resource surveys used in the industry. Marketing surveys – Marketing surveys are useful to conduct comprehensive market research. These surveys enable businesses to evaluate the market, collect information about the competition, products, and public opinion about a brand. For instance, consumer electronics survey or website visitor profile survey are some examples of marketing surveys. Industry surveys – Industry surveys cover various industries such as hotel, retail, health-care, banking, etc. These surveys are specially created by domain experts to cater to the unique needs of the industry. Resort evaluation survey or climate change awareness survey are some examples used to conduct comprehensive research about specific topics in various industries. Community surveys – Community surveys are surveys targeted to a specific community. These surveys enable data collection from a specific group of people about a common topic. Some examples of community surveys can be media accountability survey, profile survey, relationship survey, etc. Academic evaluation surveys – Academic evaluation surveys are surveys regarding the educational sector. These surveys are used by schools, colleges, government institutions, and universities. 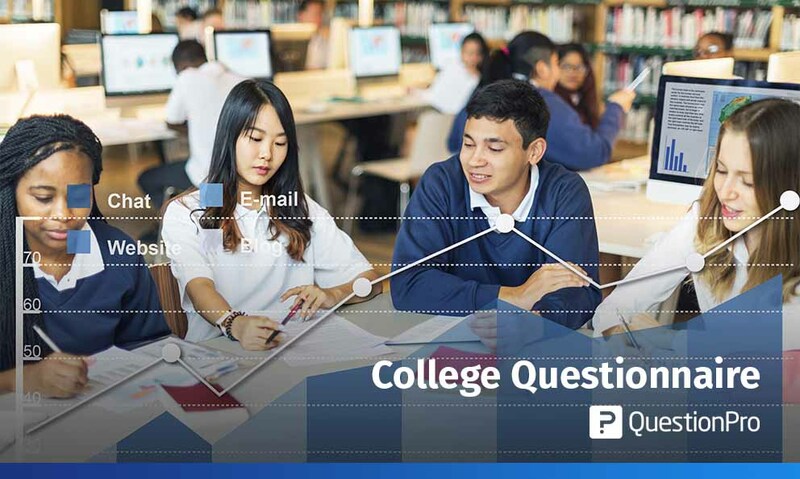 These surveys enable data collection from students, college or school staff, public opinion on the educational sector and facilities provided and many more topics. Some of the most popular academic evaluation surveys are graduation exit survey, school survey for parents, teacher engagement survey, etc. Email surveys have always been one of the best methods of conducting survey research as they provide higher response rates compared to most other methods. Email surveys are extremely cost efficient and require minimum resources. It gives you the option to create a small survey to get immediate responses as well as longer surveys that can be redirected to landing pages where much more detailed information can be collected. This is a much quicker method to address masses and collect data than most other methods. Also, email surveys can be scheduled using automated schedulers thus helping you to save the time taken to create repeat surveys. Email surveys can be integrated with a host of tools such as marketing automation tools, survey software tools, or even mailing tools to automatically distribute surveys to a respondent in reaction to a certain action being performed by them. Email surveys are much easier to create and use than other forms such as website surveys as there is no need for code. These can be directly created and sent through email or it can be created even faster using ready-made survey templates offered by survey software. Data reliability can sometimes be questionable as the responses received cannot always be genuine. For instance, some respondents may answer the survey for the sake of receiving incentives only. Limited reach may be a concern sometimes, as not everyone in the world has access to email. For instance, a survey conducted to understand the opinion of the general population regarding greener environment has to be targeted from different geographies, such as rural areas. In such a case, not many rural areas will have access to emails so the reach becomes limited. In order to conduct email surveys, email id is required. Hence getting the email id’s of the targeted audience can be a task many times. In general, it can be carried out to existing registered customers or subscribers whose email id’s are present in your system. In order to conduct effective email surveys, basic knowledge of email marketing is required, which some people might not have.